My daughter is so cute! Look what she made! 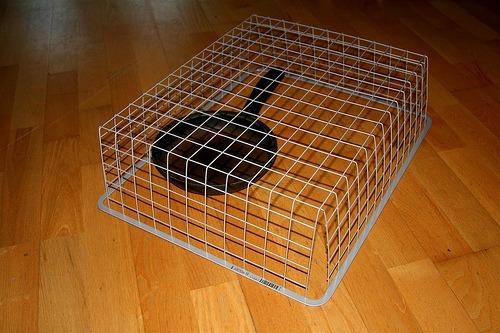 A frying pan dog, in a cage. Kids have such cool imagination! Sarah was helping me with the dishes, and was about to put this small frying pan back in it’s place, but all of a sudden her face lit up and off she went, proclaiming that she was taking the frying pan up to her room. A while later she came to get me, and this is what she had made. A cage for her “dog”. So adorable!